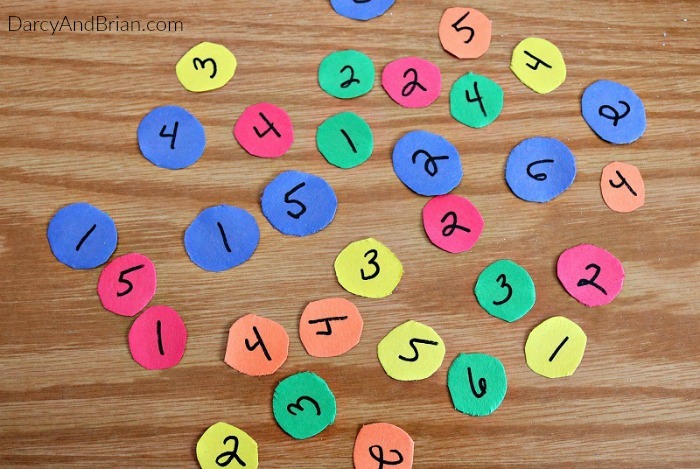 Fun activities like this easy counting and matching game are perfect for kids to do as a learning project! I like finding activities that my toddler and preschooler can do together, don't you? What I love about this game is that you can adjust the game play as needed for your child's skill level. 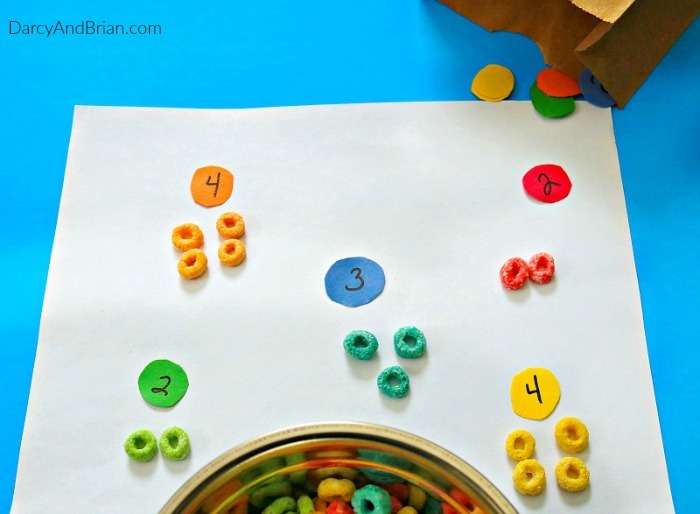 By grabbing popular cereal, some construction paper, and a few other simple supplies, you can easily create your own unique game kids will spend hours playing. One of the most timeless childhood games has always been the classic matching game. Whether it was pictures, cards or toys to be matched it has always been something moms and dads pulled out to not only occupy their little ones, but to also encourage some learning during play time. 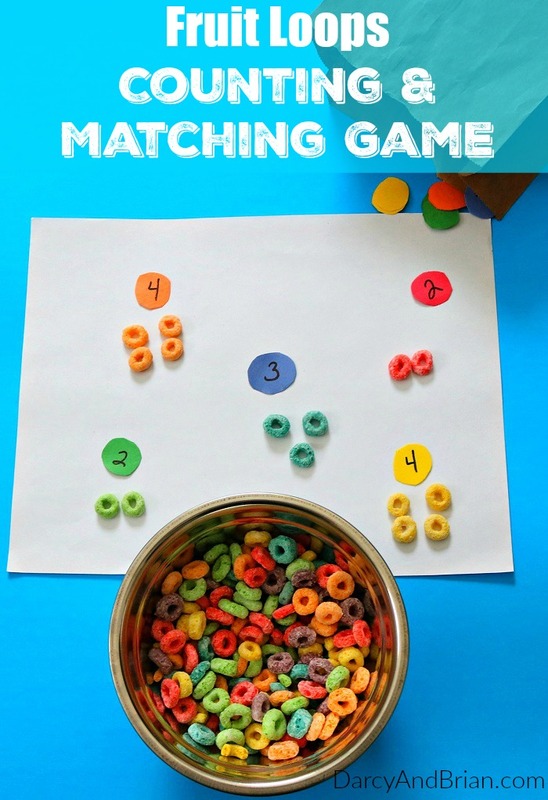 This matching game brings game time, learning and of course a fun snack all together in one simple idea. 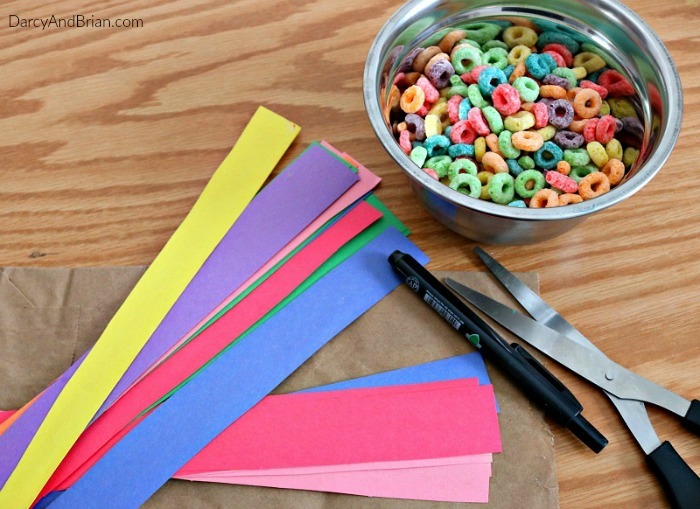 Using some Fruit loops, paper, scissors and a marker you can create colored paper that matches the color of the cereal. Write different numbers on the different colors of paper and have your child pull out the correct matching pieces of cereal for each number. Choose colored paper that matches the same colors as the cereal. For example, fruit loops usually have blue, green, yellow, red and orange. So use those construction paper colors. To mix things up a bit you can use bright neon colored paper or classic construction paper. If you only have white paper on hand, grab the crayons and have your kids help you color circles that match the cereal instead. There are many easy ways to accomplish this fun matching game for you kids. Cut a bunch of circles out of each color. At least 10 of each color would be ideal for this matching game. a lot of fruit loops. 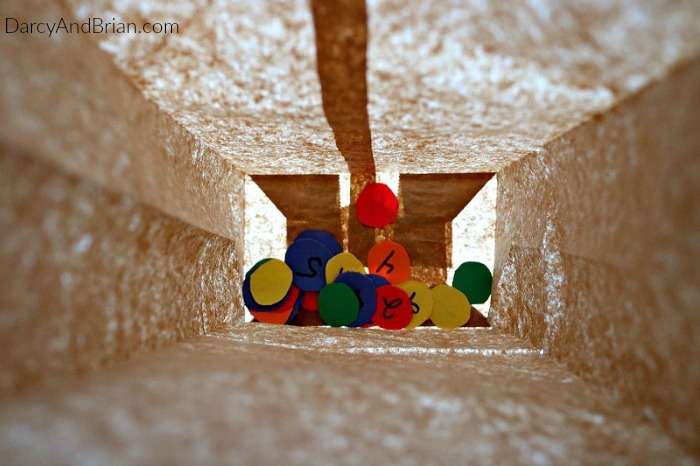 Place the marked circles into a paper bag and shake. Kids especially love this part of helping with the game. Have each child pick a number from the bag and place it on the white paper. The child will them pick the matching color and amount of fruit loops from the bowl. For example, if Rissa picks a green circle with the number 4 on it, she will count out 4 green Fruit Loops from the bowl. This is a game with no winners or losers, simply have fun and learn! When you are trying to teach your kids some important lessons about colors and counting, what better way than to do it with this simple and inexpensive homemade matching game? I know the kids will love playing this. Especially if they get the chance to eat the cereal once we are done matching things! Don't miss out on our other great learning tips for kids! Cute and inventive game~ plus they can eat it later~ Thanks for linking up to Merry Monday! Sharing on the MM Pinterest Board! Have a great week! It’s a game and snack, all in one! 🙂 Thanks, Kim! This is such a cute idea. And the kids get a fun reweard after. It’s a win-win 🙂 Thanks for stopping by!